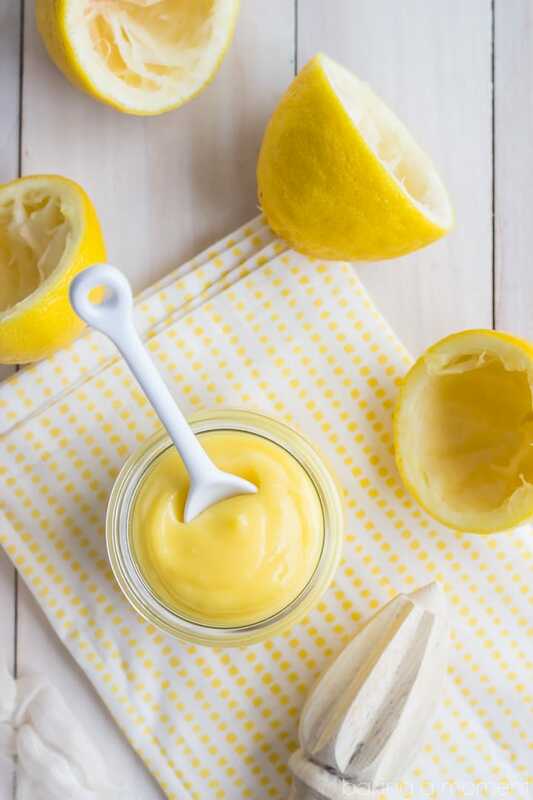 An easy recipe for Homemade Lemon Curd- whip up this classic filling in just a few minutes, and be wowed by the bright, tangy citrus flavor and the buttery richness. Delicious on scones, or as a filling for tarts or cakes, and it makes a great homemade gift too! Happy Friday everyone! Before I dive into the post I just want to ask a quick favor. I’ve got a chance to be on the Today Show! They’re looking for fresh culinary talent and I’ve tossed my hat into the ring. As you probably already know, I’ve done a bunch of appearances on my local Fox station, and this is my chance to take it to the next level! Do I have the chops to be on national tv? I sure hope so! You can help me get there by voting me up. Just click here to see my entry page, and right at the top left corner there’s a little speech bubble. Just click it to cast your vote! I’m so grateful for it! And now that that’s out of the way, let’s get on with the good stuff. Lemon curd, baby. Am I right? Is it not like the best thing ever? I love it so much, I don’t know what’s wrong with me that it’s taken this long to finally post a recipe. If you’ve never had it before, boy are you in for a treat. So lemony, so bright, and zingy. It’s perfect on scones or biscuits, layered in a trifle or tart, or even just eaten straight from the jar with a spoon. I may or may not have done that. A few times. Ok a lot! The best thing about this recipe, in my opinion, is the richness. It’s got the most incredible satiny texture. The butteriness lingers on your tongue, carrying with it all that floral, citrusy flavor. It’s to-die-for! I just can’t get enough of this stuff! The second best thing about it is how easy it is to make. It’s basically a dump and stir situation, with a little bit of heat added to tighten things up. Just put all the ingredients in a bowl and set it over a pot of simmering water. Whisk it every now and then, until all the butter melts and it gets hot. You’ll notice it gets thicker, almost the consistency of yogurt. It will thicken even more as it cools in the fridge. You will love having a jar of this around. Especially at this time of year, when fresh berries are coming into season. There’s just so many things you can do with it. I’ll be showing you several over the coming weeks. And definitely think about gifting a jar or two. Who wouldn’t be thrilled to receive a delicious homemade treat like this!? Thanks again for voting, guys! I owe ya big! Place the eggs, yolks, sugar, and lemon juice in a medium mixing bowl and whisk to combine. Place the bowl over a pot of simmering water, and add the butter. Cook, whisking continuously, until thickened. The mixture should be about the consistency of yogurt. Place a fine mesh strainer over a heat-safe bowl, and pour the mixture through. Press waxed paper or plastic wrap directly onto the surface of the curd, to prevent a skin from forming. Refrigerate. Lemon curd will continue to thicken as it chills. Allie, this homemade lemon curd is beautiful!!! and you have my vote! Voting again now! That looks amazing! Where did you get the jar? Thank you so much! Sorry for the late reply- the jars are from Weck and there’s a direct link to a mail-order source at the bottom of the post. Thanks again! Thanks so much for voting Julia! I’ve had mine in the fridge for a few weeks and it’s still doing great. The cook time would probably vary depending upon the heat, but for me it came together in less than 10 minutes over medium-low. I hope that helps! Thanks for the great questions! Allie, it was absolutely delicious! Used it as one of the layers for my Mini Chocolate Caramel Cups. Worked really well together! I saw your post! I’m so happy you tried it and liked it 😀 Your post was beautiful and I pinned it over the weekend; hope it gets lots of repins and brings some traffic your way. Thanks so much for trying one of my favorite recipes and for the great feedback. You’re such a sweetie! Lemon curd is definitely the best thing ever! It’s even better when it’s homemade. You have my vote!!! Your lemon curd recipe is to die for!!! It’s rich buttery taste yet tang from the lemon is sooooo good!!! 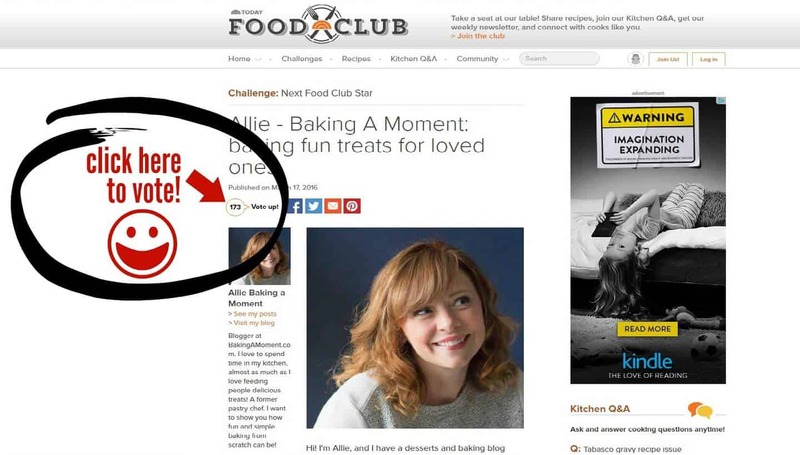 I’m not sure I’m understanding your question, but the recipe card is at the bottom of the post. All the ingredients, quantities, and step-by-step directions are listed there. 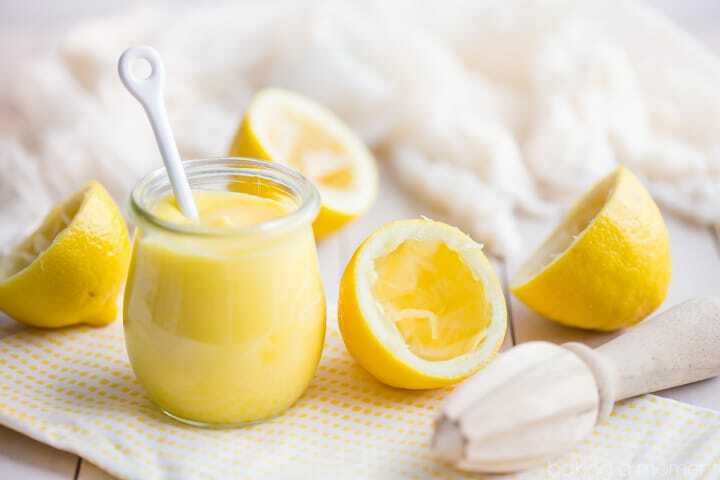 You will need 3 whole eggs plus 3 yolks to make this lemon curd. So happy you liked it Kathleen! Thanks so much for the good feedback! I adore lemon curd and will happily eat it right out of the jar, you can’t beat homemade stuff though and yours looks delicious, so bright and sunny 🙂 I’m in the UK so don’t have The Today Show but I’ve voted for you anyway, good luck! Can you include storage info in the recipe? How long will this keep properly stored in the fridge? Love, love love lemon curd!!! You have my vote for sure and good luck!!! Voted right away! All the best, Allie!!! 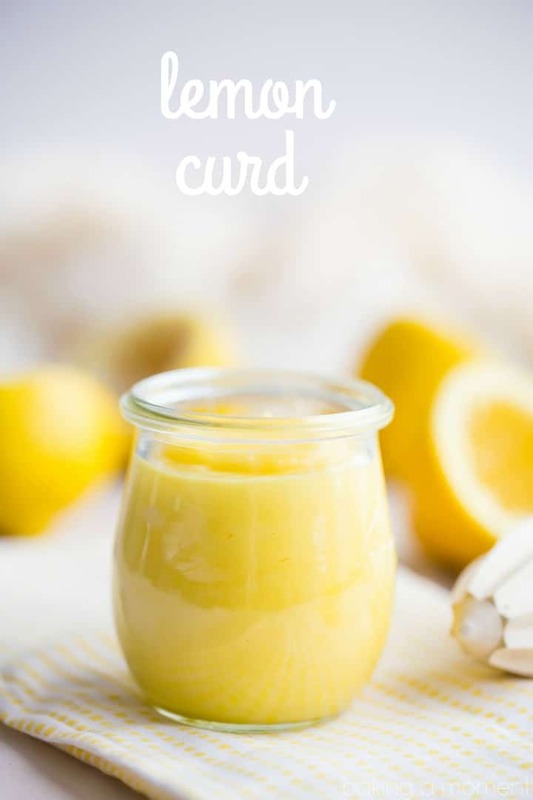 This lemon curd is so delicious! It’s perfect for summer too! I mean just look at it – the bright yellow color should be enough to brighten someone’s day! So beautiful! Ooooh, I LOVE lemon curd! I remember making it as a child, but not since – I really must give it another go. And then I’ll join you in eating it right out of the jar! Lemon curd is one of my favorite desserts EVER. Mine too! Thanks for stopping by Jen! I am a lemon curd ADDICT! Love! I love lemon curd! Such a treat. 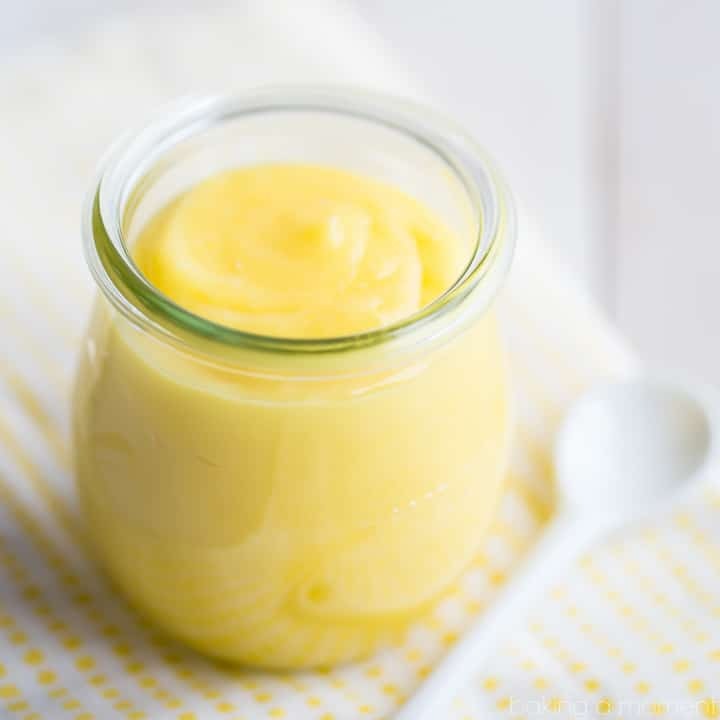 Lemon curd is so good and has so many uses – great recipe! I love lemon curd…on everything! This may sound like a funny question to ask, but I have never made or used Lemon Curd before. I am making it for your Gingerbread Cake to take to a Christmas Party on Monday. Hi Susan! You can use this lemon curd for anything you’d like. Cinnamon pie or gingerbread cake or anything else. Hope you enjoy!